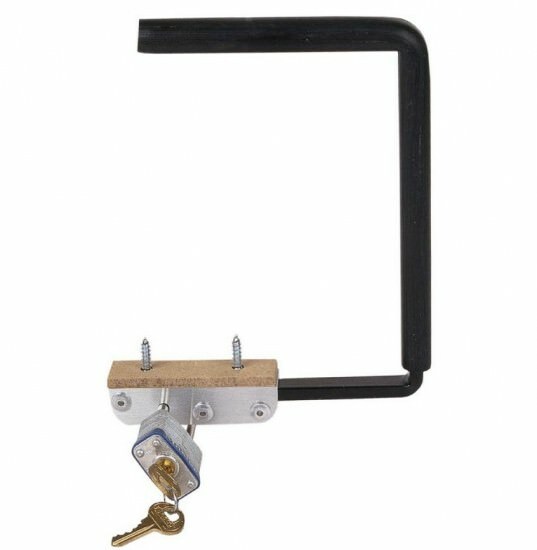 One of the best selling clamps in the piano industry for a foolproof, attractive upright and grand piano locking device. The clamp is made from a special hardened steel and has a rubber sleeve to protect the piano’s finish. Clamp has a maximum opening of 6-1/8″ high, which should fit most any type of fallboard. A wooden shim is provided for use when installing on pianos with smaller fallboard heights. Comes with a lock and two keys. Screws are provided to attach the clamp underneath the keybed.